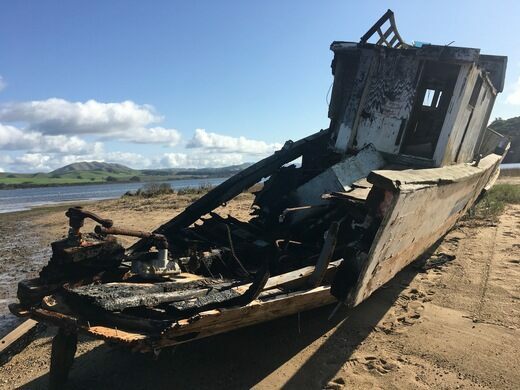 This abandoned boat was left in place thanks to its rotting beauty. 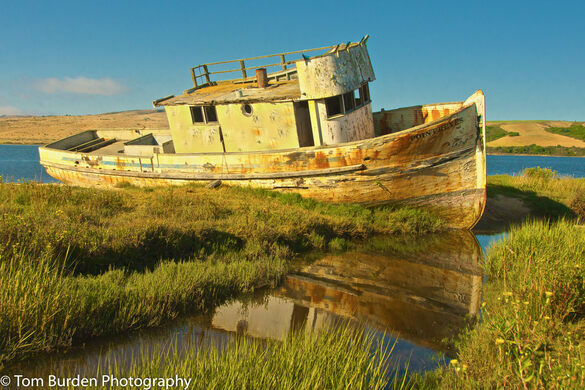 Beached on a sandbar in Inverness, California, the abandoned Point Reyes Boat would seem to be little more than a large piece of detritus littering an otherwise protected wetland, but don’t tell that to the droves of photographers that take advantage of its mouldering beauty. An enchanting tunnel of cypress trees leads to an old morse code station still used today. 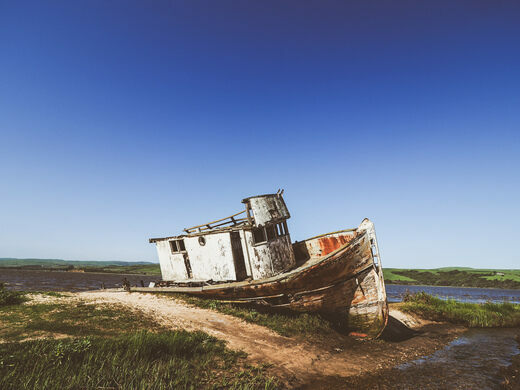 Known as the Tomales Bay Shipwreck, the Inverness Shipwreck, or the S.S. Point Reyes, the tall fishing boat was once in danger of being removed, but it was local photographers who actually saved it. The vessel was originally dragged aground by the land’s previous owner who had intended to fix the ship up. 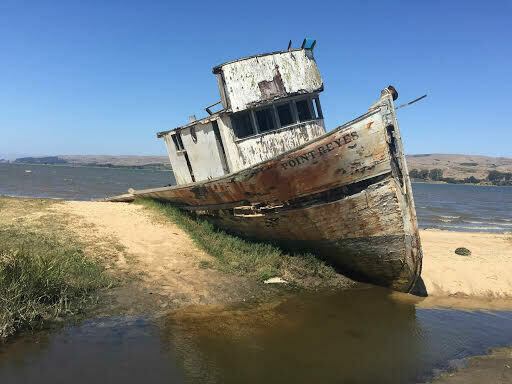 However, like many fixer-upper projects, he never actually got around to the repairs, leaving the boat, which still bears the name, “Point Reyes,” to decay on the shore. When the land was taken over by a wetlands restoration firm, the boat was an obvious target for removal. But thanks to the attention the local photographers and visitors gave the wreck, the company allowed it stay right where it was. Today there is a small sign and trail that leads to the picturesque wreck. It’s possible to actually get on the boat, but it is not advised since the wood is rotten and riddled with holes. The last thing you’ll want to do is enrage a group of photographers by damaging their favorite boat. Update August 2017: In February 2016, someone set fire to this beloved landmark. Although it sustained damage and is charred, it is still very much there and accessible. As you drive through Inverness, CA, on Sir Francis Drake Blvd, you'll find the boat behind the Inverness Store. 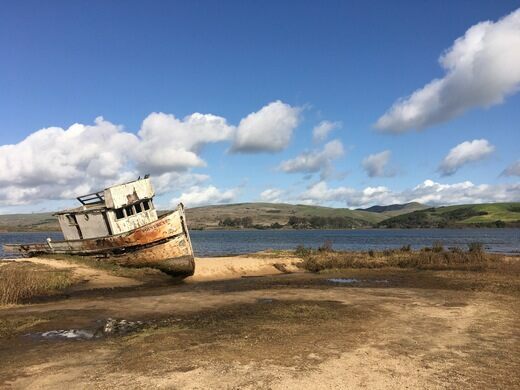 There's parking along Tomales Bay, with a short walk to the boat in the distance. Wear sturdy shoes that you don't mind getting a little wet!! This rare example of a "tidefall" is a spectacular drop from the cliffs down onto the beach. The watery grave of an impractical idea. This huge ship ran aground and has simply been left to sit there ever since.